If you consider yourself to be a crafty person, you might enjoy this list of diy room decor ideas. Grab your craft supplies, and get your craft on. 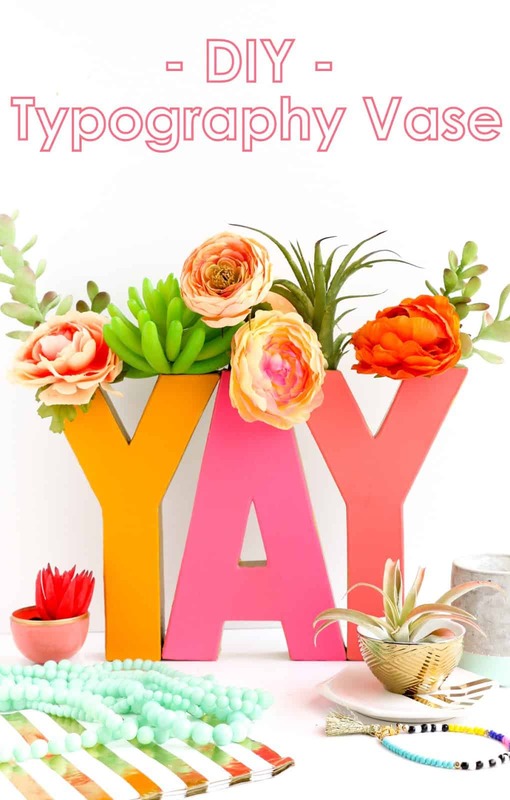 You will find a nice arrangement of ideas below to add a perfect touch of style and personality to your room! Maxwell at Design Sponge had a wonderful idea to use fun colored tape to create a frame for pictures. This is so affordable and unique, it can really add a lot of color to a room. 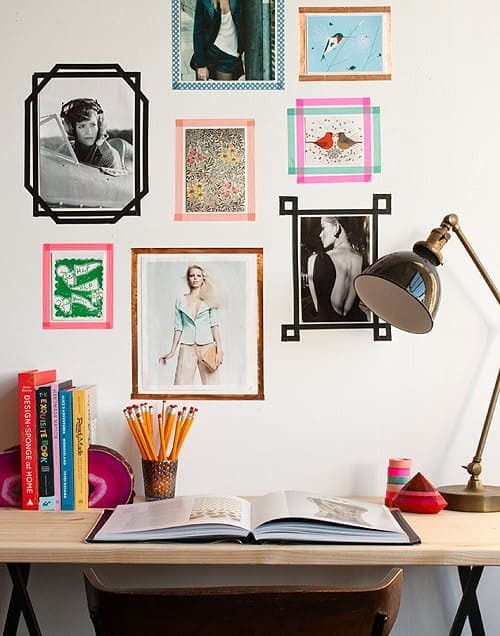 See how to make your own tape frames. 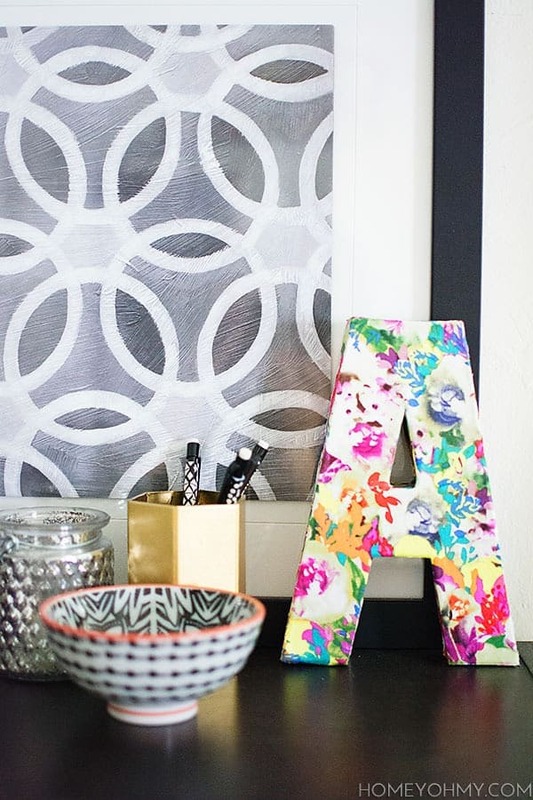 A Kailo Chic Life shares how they made this really bright and bold diy typography vase. This would be really great to display on a nightstand like they did or on a shelf or bookcase. Check it out here. 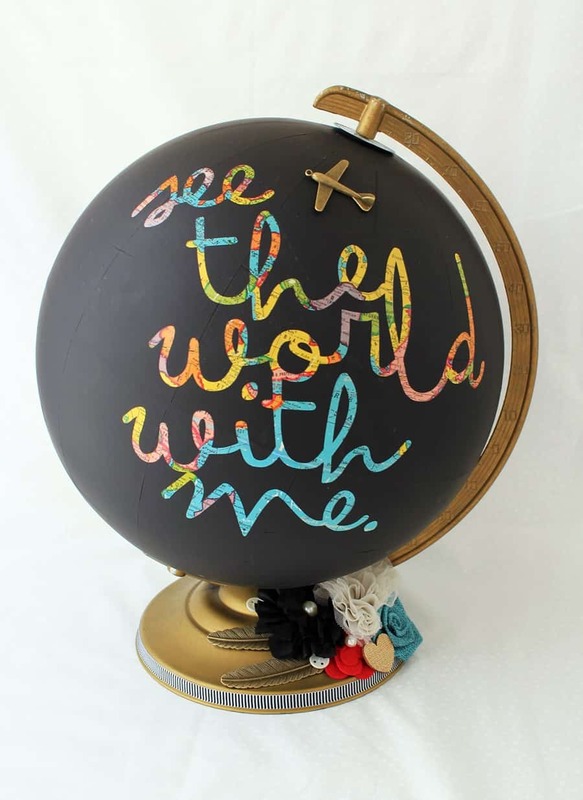 Hey Hey Mandy Kay shares a great way to take an old globe and breathe new life into it. I love the pop of color from the words paired next to the black chalk paint. See how to make one like it. 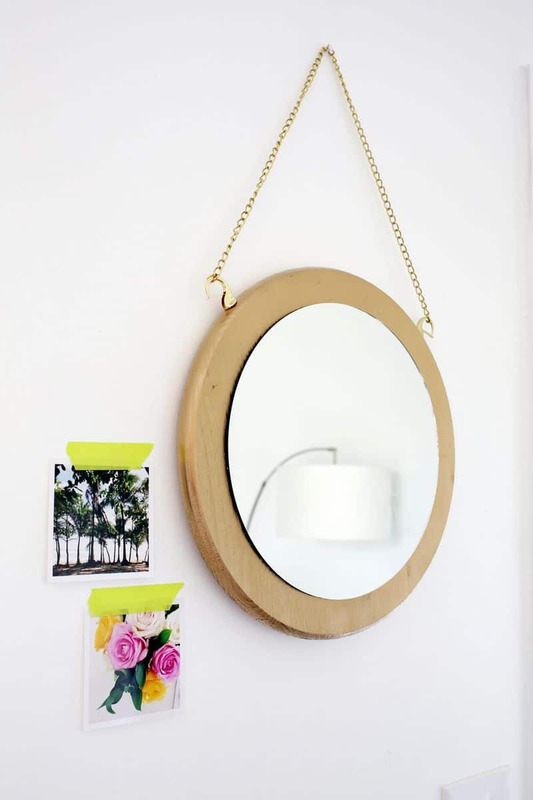 A Beautiful Mess shares how they took wood and transformed it into a hanging mirror. Making your own mirror vs buying one like this will give you nice savings. Make your own mirror. 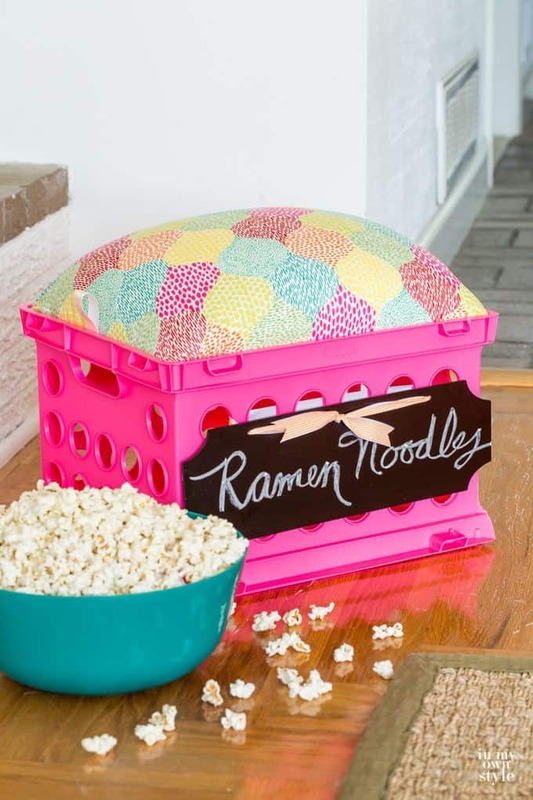 Diana at In My Own Style had such a genius idea to take these little crates and use them for seating and storage all at the same time. I think these would look really neat in your child’s room, or a game room/playroom where you want extra seating. See how easy they are to make. Heath Beauty and Life shares how easy it was to make this ombre styled lamp for your side table. This could be neat to do for a kid or teens room, or even in a loft apartment. Very affordable and quick. Check out the steps to make this lamp. 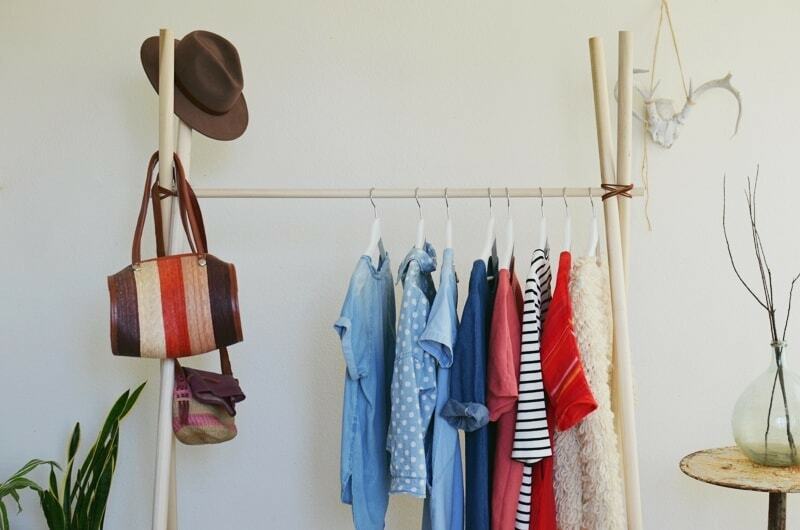 A beautiful mess came up with a really stunning way to display clothes and give a room more space for storing clothes if you have limited room. See how they made this rack. 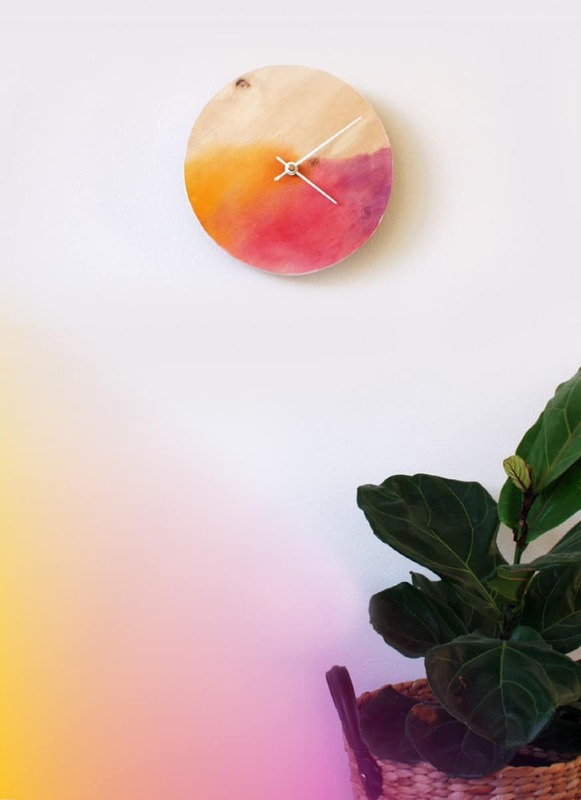 Makers Society shares a very simple but exquisite tutorial on how to take a wooden clock and give it a really fun and edgy feel. You could use any colors you want to fit the color scheme of the room. Head over and see the tutorial. Apartment Therapy has a great diy that is quick and very affordable. 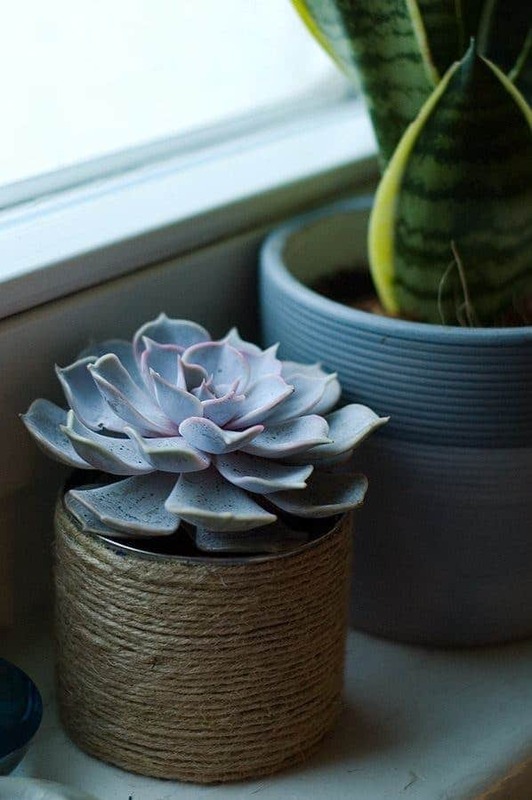 Take a succulent and transform the pot to give it a very natural feel. Click here to see how they did it. 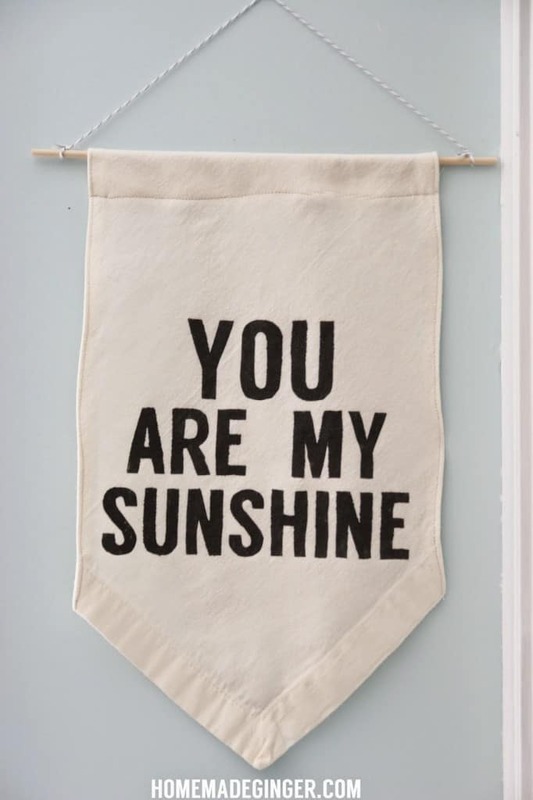 Homemade Ginger shares a wonderful tutorial on how to to make a painted quote banner. This is a pretty easy craft to do and you can use any quote that you like. See how it is made. 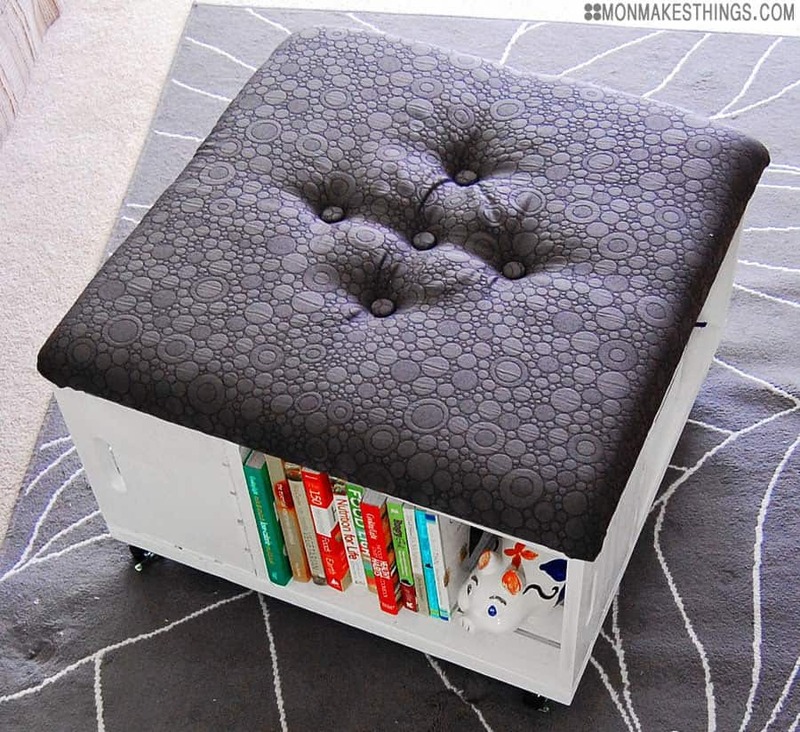 Mon Makes Things is sharing how to make a storage ottoman that is not only a design element for the room but also a great source for storing some items. It is a really creative idea. Check it out here. 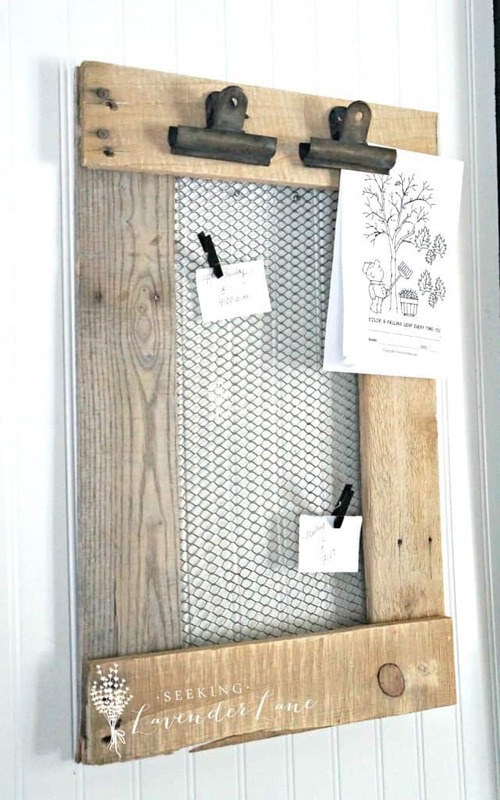 Seeking Lavender Lane shares a great tutorial on how she created this farmhouse message board. Put notes of things you need to remember what to get at store, inspirational messages to keep you uplifted and more. Head over here to see how to make one. 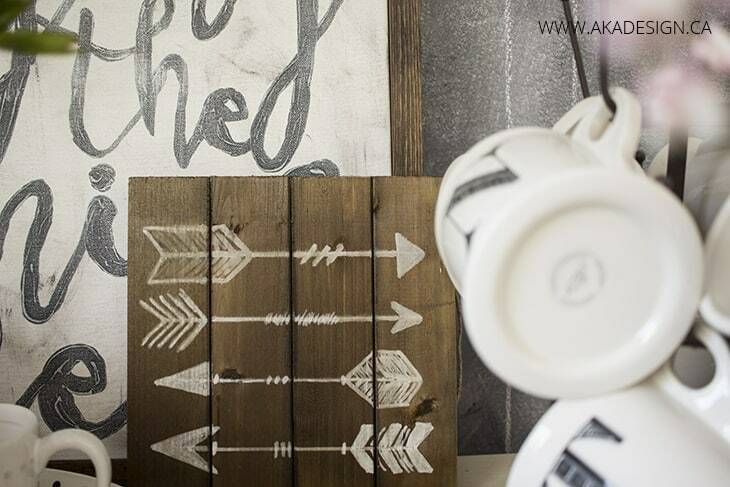 Here is a really fun craft from Homemade Lovely, it is arrow art out of old wood. Hang on the wall, sit on your dresser or shelf and add a new element of design. Find out how they made it. Looking to transform your bedroom? 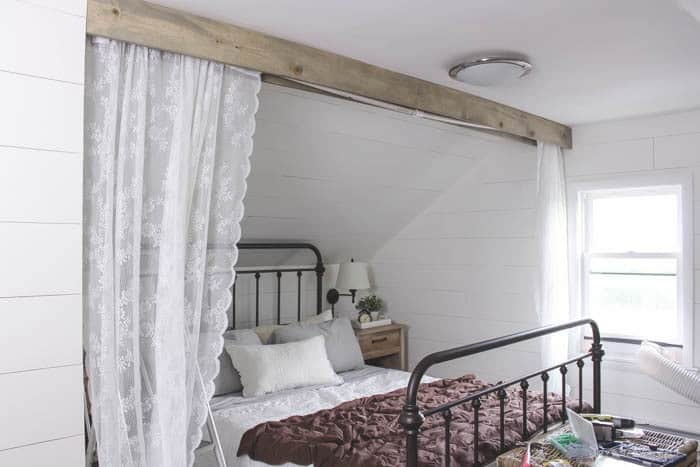 Head over to Love Grows Wild and see how they made their bedroom look like an oasis with a simple change like this. Make one like it. 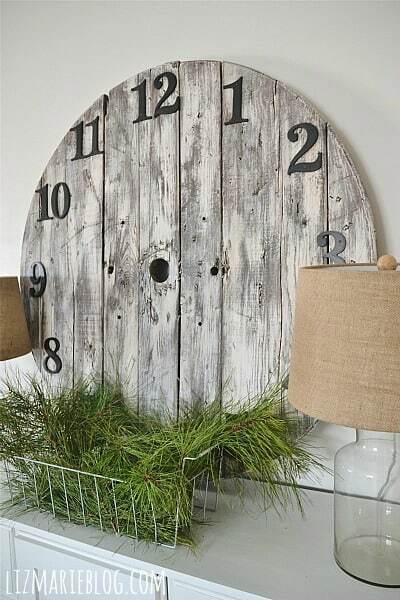 Liz Marie Blogs shares how they took a wood spool and created a really large clock to hang on the wall. This would look really neat in any room of the home. Check it out here. Want a full-length mirror for your bedroom or even bathroom? Check out this amazing tutorial that The Wood Grain Cottage shares on their blog. They did an incredible job with this diy craft. Here is the tutorial on how they did it. 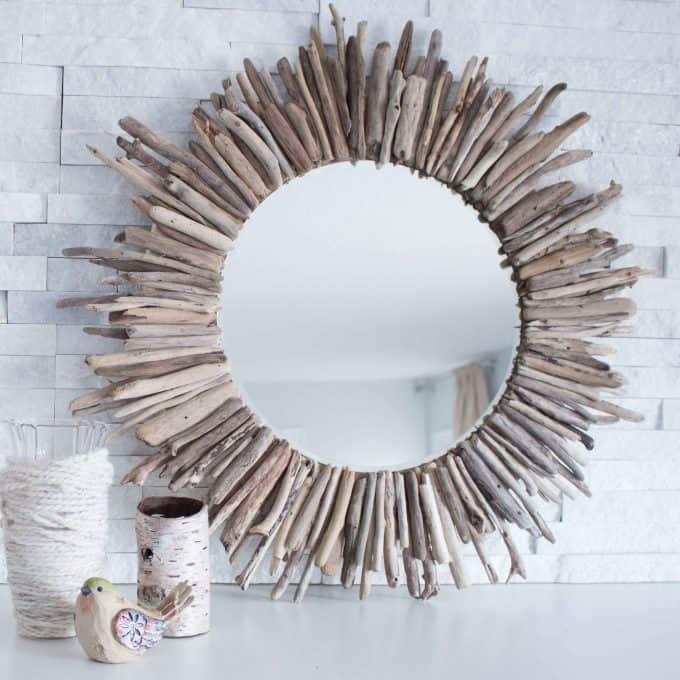 Sustain My Craft Habit takes driftwood and creates a really creative starburst mirror. 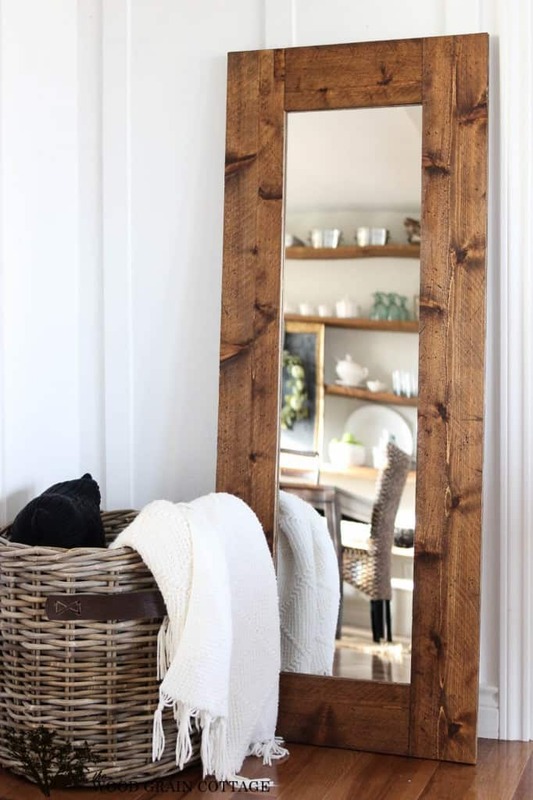 These mirrors are very expensive to buy in the store, and the diy route can save you quite a bit of money. Check it out. Visibly Moved found a really unique shape piece of wood and created a really useful and pretty display piece for the room. 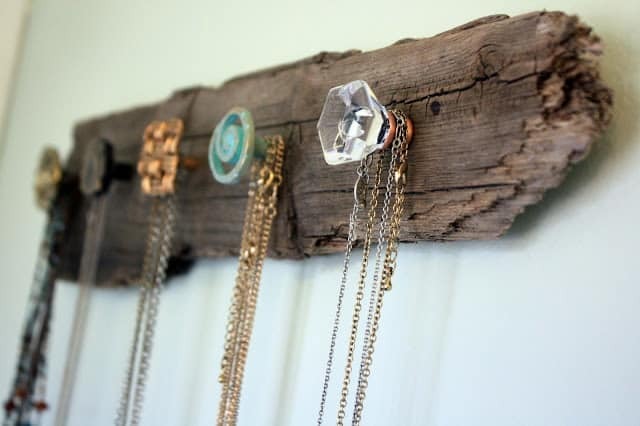 Hang your favorite necklaces on to keep them from tangling up. Make your own, find out how! Place of My Taste created a diy floating shelf I couldn’t pass up sharing. 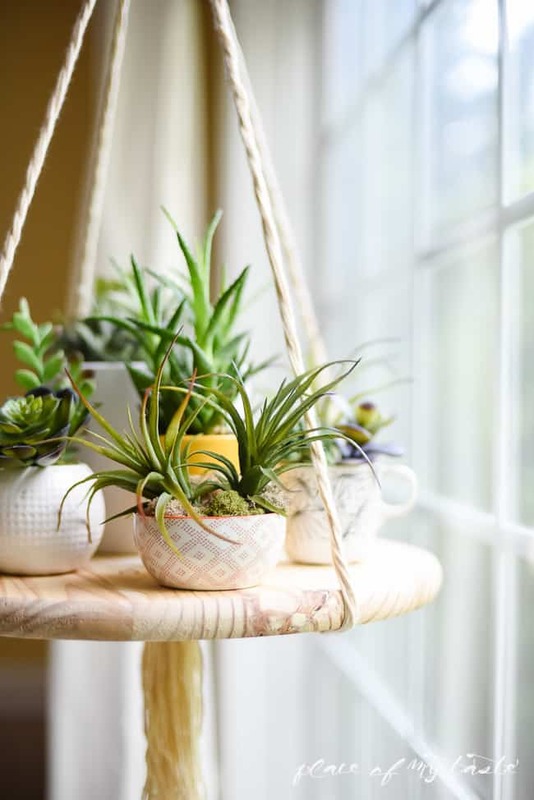 Stack some succulents, plants, or other room decor pieces on it and let it be a standout piece for the room. See how to make it. 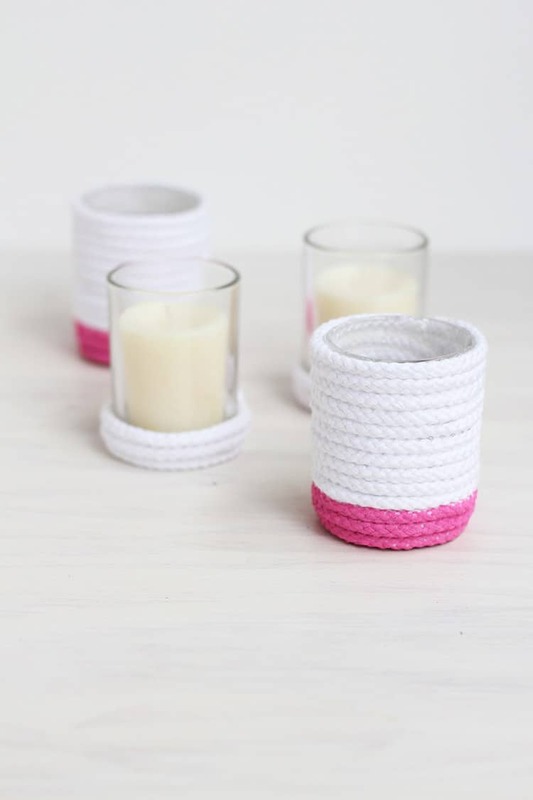 Freutcake takes glass candle holders and glues on rope, and paints the bottom for a really modern and classy look. This is a very affordable diy that can add a pop of color to the room. Find out how she did it. 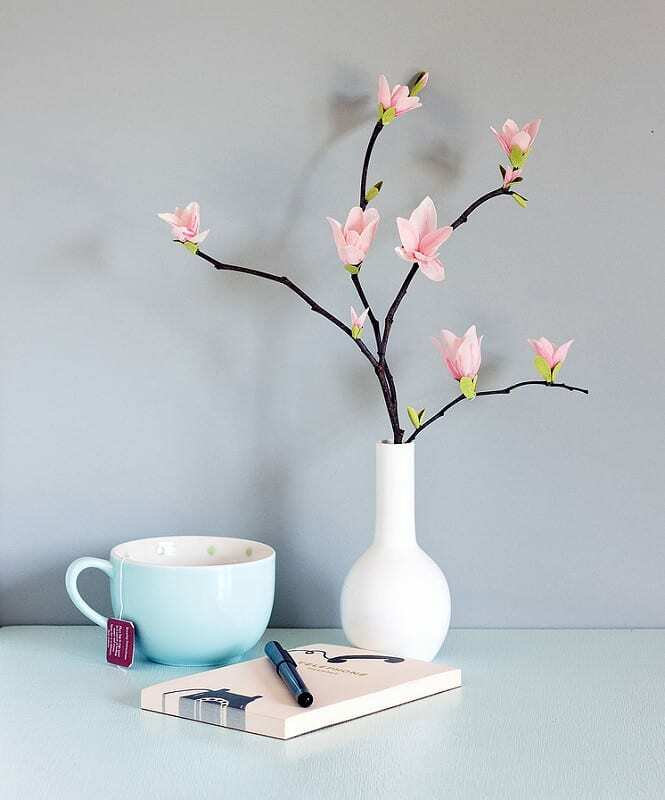 Vitamini Handmade created this delicate looking magnolia flowers on tree branches that can be put in your favorite vase. It gives the look of real magnolia buds, that will last. See how to make them. Pick the letter of your first or last name and create this bold and sassy floral monogrammed letter. Homey Oh My shares a wonderful tutorial of how they made this statement piece for any room in the home. Check it out here. 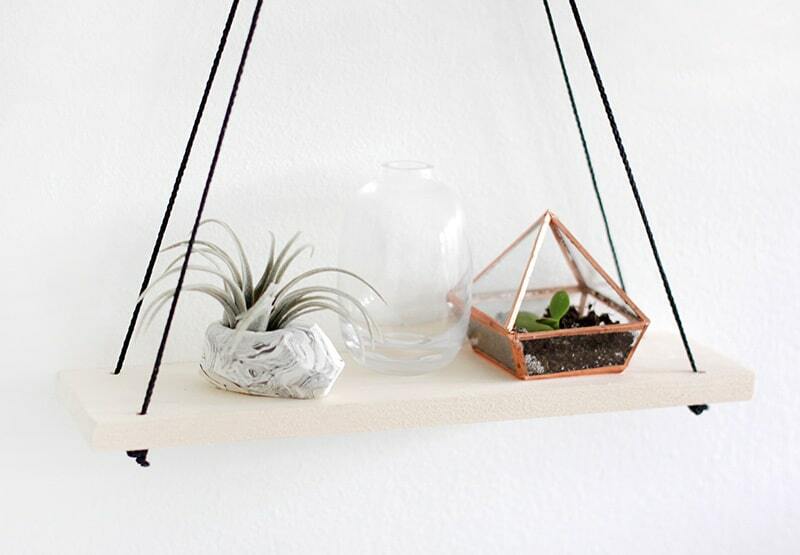 Why Don’t You Make Me shares an easy to follow tutorial on how they made these hanging shelves. They are a really pretty piece to decorate any room in your home. Find out how they made it.